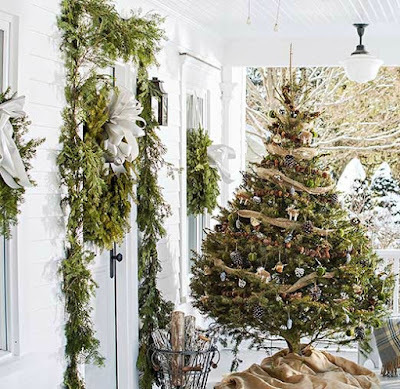 A decorated evergreen tree, wreaths, and garland are captivating against an all-white backdrop. 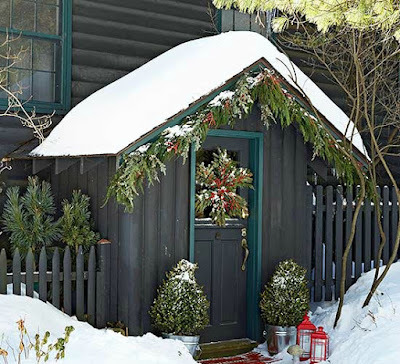 Decorating with a wire basket filled with firewood reinforces the natural coziness that oozes from this front porch. 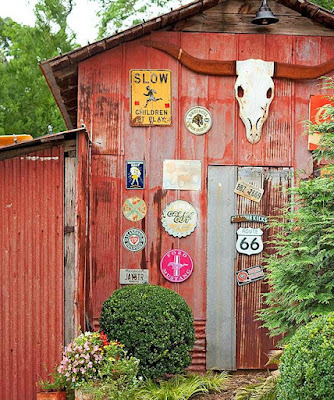 Scandinavian design inspired an inviting gabled entrance that's emphasized with berry-studded greenery. 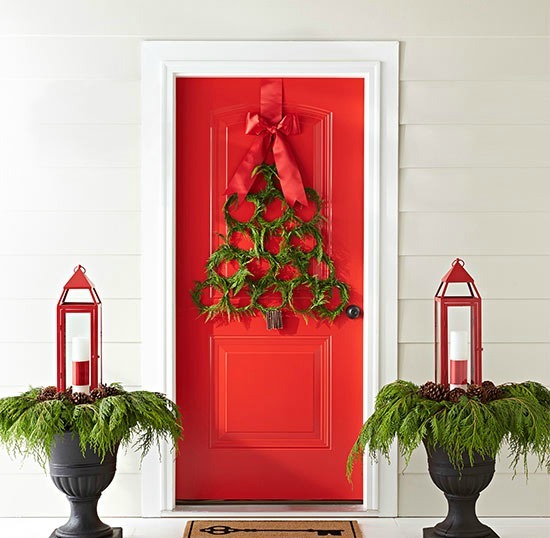 Small evergreen trees rest in galvanized buckets on both sides of the door, while crisp red lanterns and a welcome mat add pops of color to the walkway. Crimson ribbons and bows take center stage on this charming front porch, accentuating the evergreen tree, garland, and wreath. 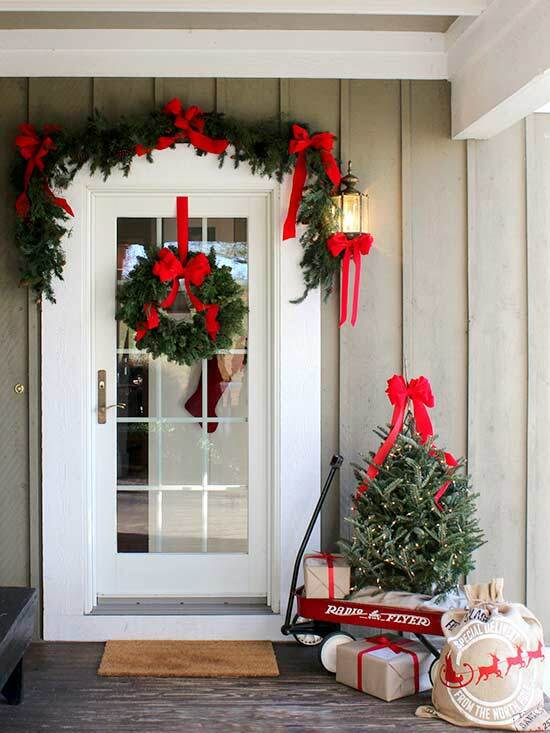 A red wagon along with a graphic burlap sack and boxes wrapped in brown kraft paper welcome the holiday season. Glitzy red, gold, and silver ornaments spruce up two large lanterns, an easy and inexpensive way to add flair to a front porch. 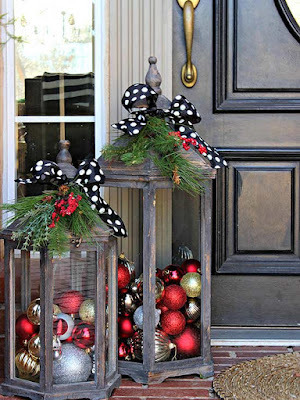 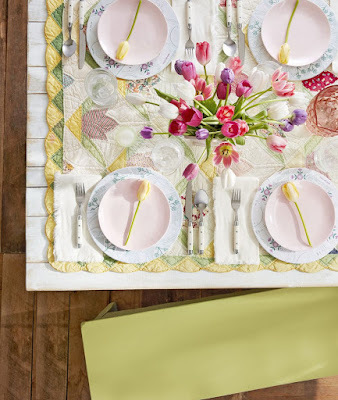 Top the lanterns with greenery and polka-dot bows for added holiday spirit. 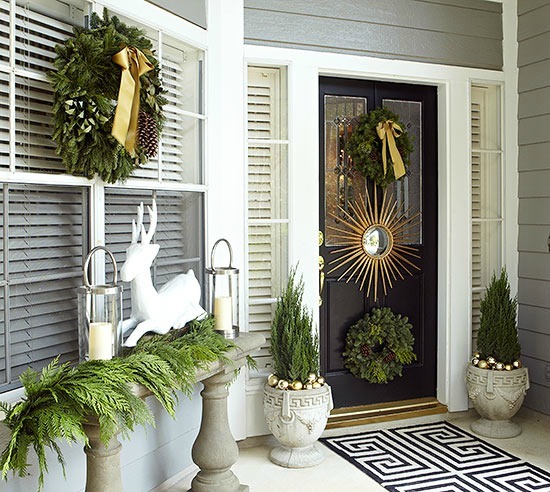 Create an elegant wintertime entryway with a gold starburst mirror set between two wreaths. Fir trimmings and a painted papier-mache deer (protected from the elements by the porch) spruce up a cement ledge while gold ornaments accent the topiaries. 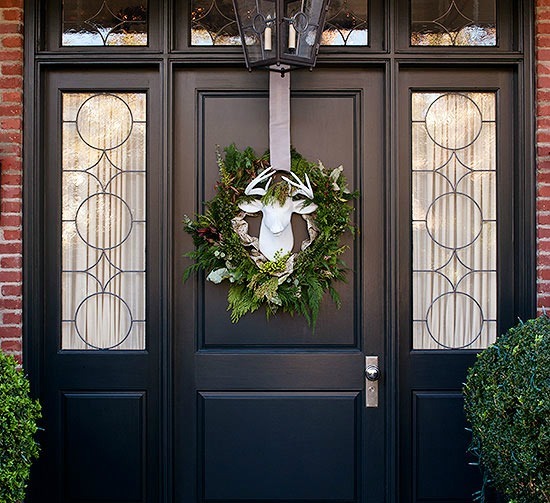 Impress the neighbors with an extraordinary wreath that’s surprisingly easy to do yourself. Simply wire a handful of mini cedar wreaths to one another to create the shape of an evergreen tree. Use a red ribbon to hang the wreath on a door (bonus points if the door is red) and decorate planters with matching lanterns. 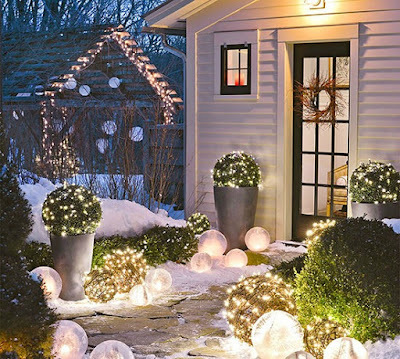 Create an enchanting entrance for the season by lining a walkway with grapevine balls and boxwood spheres with lights. 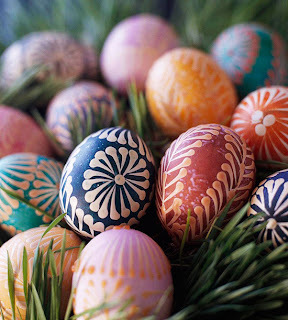 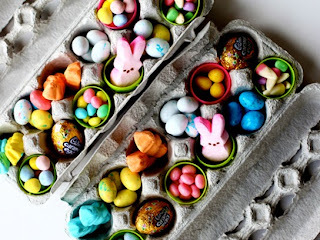 Decorate with orbs in varying sizes to enhance the path’s whimsical appeal. A papier-mache deer trophy spray-painted white makes an eye-catching statement against a black door, while a natural wreath made of live greens softens this posh front entry.